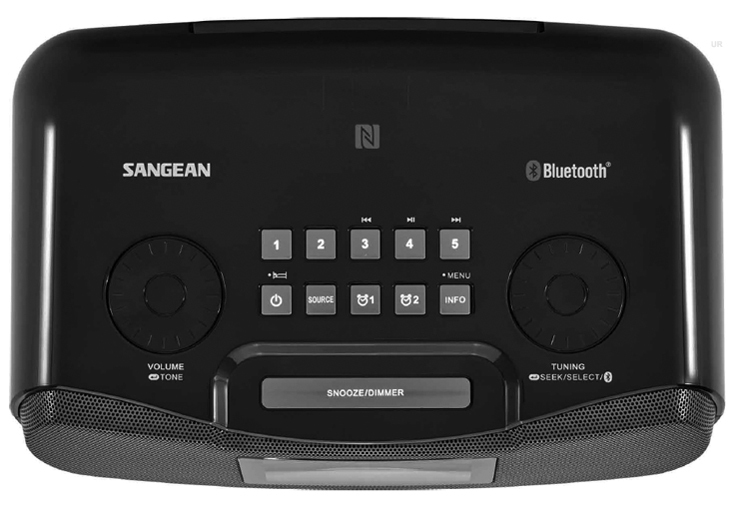 The Sangean RCR20 is not your Father's clock radio. This compact table top radio is the confluence of many of today's latest technologies. The RCR-20 delivers powerful audio with a ported bass tube specially designed for better low-end response. The Bass, treble and balance can be adjusted to your liking. Plus Loudness on/off. The latest Version 4.1 Class II and NFC technology allows for simple pairing and connecting to your device. A built-in USB 5V/1A port lets you charge your phone overnight. Wake up fully charged! A battery backup function preserves your preset memories during power interruptions. No more reprogramming. Easy controls are on the top of the radio. Or use the supplied full function infrared remote. Don't start your morning with a jarring alarm. The RCR-20 can wake you to a buzzer or radio. And it features a Humane Wake System that gradually raises the alarm volume to gently start your day. The RDS function will display station information (call letters, music titles, etc.) and will automatically keep your clock set perfectly. Input / Output jacks include: DC-Input, Aux-Input, headphone output and USB-A charging port. Other refinements include: dual alarms, sleep timer, snooze function, auto scan, ten memories, adjustable tuning step and adjustable display brightness. The RCR-20 comes with: infrared remote control, AC power supply, printed manual (Engl/Fren/Span), two AAs for memory and two AAAs for remote. 10.5 x 3.5 x 7.2 inches. Copyright 2017-2018 Universal Radio, Inc.